If the story of Cyc were written by Aesop, it would probably read something like The Tortoise and the Hare. The 30-year-old artificial intelligence engine’s slow, steady, and idiosyncratic development is set to challenge recent pattern recognition methods that have seen AI algorithms conquer centuries-old board games and rush-hour traffic. Where the latter found success creating statistical models by processing troves of data on its own, Cyc’s professed skill will come from hardcoded rules and logic that allow it to understand how and why data points are related. Cyc is a common sense engine, which over the past three decades has been fed thousands and thousands of encyclopedic facts. Since computers lack human-level inference, Cyc’s creators also fed it background knowledge – facts that we’d consider self-evident – to help connect the dots between what, how, and why things happened. So, if Cyc is told that in 1492 Columbus sailed the ocean blue, the system is also informed that Columbus sailed on the Mayflower, the Mayflower is a ship, a ship is a boat, and boats float. This degree of specificity is designed to make Cyc a comprehensive and unique resource with real-world applicable knowledge; it also helps explain why the knowledge base took so long to develop. Doug Lenat, Cyc’s creator, has finally decided to commercialize Cyc after the project’s extended gestation. Once a Stanford professor, Lenat left the university in 1984 to begin work on Cyc. He told MIT Technology Review his decision to finally commercialize the engine was in part because of the project’s “doneness”; however, he admits there’s still more work to be completed, such as tweaking the system to accommodate certain fields of expertise from finance and oncology. Lenat’s company Lucid will begin to apply Cyc for its clients, who include Cleveland Clinic and the U.S. Fires Service. Deep learning AI shows promise in healthcare, helping practitioners diagnose diseases and determine at risk patients. Yet while these tasks have AI crunch data and report patterns to practitioners, the systems don’t reason through their findings and make inferences from correlated or discordant information. Meanwhile, at Cleveland Clinic, Cyc is helping doctors determine the most appropriate patients for clinical trials, a laborious process that requires researchers to sift through decades of records to locate specific criteria. Lucid loaded Cyc with even more medical knowledge and developed a system interface to enable researchers to engage the engine with natural-language questions. On their website, the company says its goal was to have Cyc “think about each file the way a doctor would,” then apply its understanding to find the right subjects, while presenting a logical chain to explain its reasoning to researchers. Researchers can then give feedback to correct Cyc’s reasoning at a particular point and refine the results. Lucid claims this has enabled Cyc to determine appropriate candidates 10,000 time faster than humans and their computers previously could. Basic AI in banking dates back to 1987. Since then, AI systems have become a fixture in finance. Machine learning algorithms now perform stock market analysis, trading, and fraud detection. These AI are designed to recognize patterns and inconsistencies, notifying humans when it notices something out of the norm. But Lucid wants to apply Cyc to finance to detect things that humans would typically monitor, such as regulatory changes, potential breaches, and the subtleties of insider trading. According to Wired, Goldman Sachs employs the system to monitor activity within its technological infrastructure. Lucid CEO Michael Stewart told MIT Technology Review about a particular case in which Cyc flagged potential insider trading because it reasoned that two individuals must know each other, since they sat side-by-side on an organizational chart. According to its creators, Cyc stands out from today’s dominant deep learning methods by using reasoning algorithms to understand the meaning behind the data. There are fine lines between intelligence and common sense, analysis and inference, gaming skills and social skills. Lucid wants to engage the side most applicable to humans. 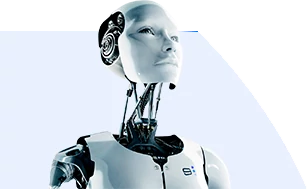 If Cyc performs as its creators designed it, we may soon see personal assistants, management systems, and AI financial planners that process information at an inhuman rate, but are able to communicate their findings in well-reasoned, comprehensible, and common-sense terms. It's been over a month since our last major artificial intelligence consensus (which covered 33 AI researcher perspectives on the 20-year risks of AI), and we decided that this time around, we'd speak with AI executives directly about the future of artificial intelligence and machine learning in consumer tech. The media is awash with buzz-stories about autonomous vehicles, speech recognition, robotics, and more, but it seems difficult to glean a perspective on which consumer AI tech trends are likely to make the biggest impact in the coming 5 years. While there's certainly no crystal ball, our preference as a market research firm is to combine research and news analysis with a strong consensus from dozens of experts in the field. When it comes to AI for consumer tech, we decided to ask executives and founders of artificial intelligence companies what they believe to be the most important AI consumer tech trends in the next half decade. You can see a full list of the answers to our "AI Consumer Tech Trends" below in our large infographic. Despite what the media tends to depict, artificial intelligence is being put to better use than winning video games and board games. In fact, two of the world’s leading tech giants have begun using AI to help the blind perceive the world in helpful new ways. Picture this: Mad Men returns for a final season set in the near future. The advertising agency Sterling, Cooper, Draper, Pryce is still a powerhouse though its namesakes have since retired. Actually, the entire human staff has been reduced to just a few account men, managers, and technicians. Where are the creatives? They're in the computers.